""If Trayvon was of age and armed, could he have stood his ground on that sidewalk?"" --President Barack ObamaThe 2012 killing of Trayvon Martin, an African-American teenager in Florida, and the subsequent acquittal of his killer, brought public attention to controversial "Stand Your Ground" laws. The verdict, as much as the killing, sent shock waves through the African-American community, recalling a history of similar deaths, and the long struggle for justice. On the Sunday morning following the verdict, black preachers around the country addressed the question, "Where is the justice of God? What are we to hope for?" This book is an attempt to take seriously social and theological questions raised by this and similar stories, and to answer black church people's questions of justice and faith in response to the call of God.But Kelly Brown Douglas also brings another significant interpretative lens to this text: that of a mother. "There has been no story in the news that has troubled me more than that of Trayvon Martin's slaying. President Obama said that if he had a son his son would look like Trayvon. I do have a son and he does look like Trayvon." 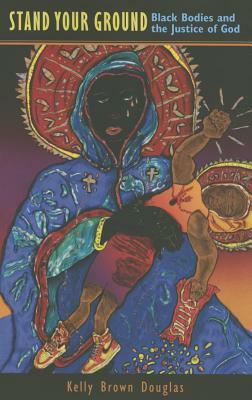 Her book will also affirm the "truth" of a black mother's faith in these times of stand your ground. Kelly Brown Douglas is an Episcopal priest and professor of religion at Goucher College. Her books include "The Black Christ, Sexuality and the Black Church, " and "The Black Body and the Black Church/A Blues Slant."